Heather (she/her) joined Nothing Without a Company in 2018. You may have seen her as a hummingbird in Nothing Without a Company's Down the Moonlit Path, or as a ghost or cowgirl in their 2016 and 2017 24-Hour Play Festivals. She is excited to partner with Nothing Without a Company and see how they will challenge her next! 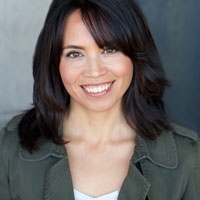 Other credits include: Nanay (Free Street Theatre), Six Characters In Search of an Author (Ghostlight Ensemble), King Lear (Eleusis Collective), Patria Libre (Prologue Theatre Company), The Benchmark (StepUp Productions), Women’s Theatre Alliance (WTA) Juried Showcase, Gideon’s Knot. Heather is a proud alumnus of Black Box Acting Studio, The Second City Training Center, The Annoyance Theatre, and iO Chicago. She has also had the pleasure of studying at L’Ecole Internationale de Théâtre Jacques Lecoq and the summer conservatory at RADA.